Most works of art challenge a viewer to reflect; few chemically compel a viewer to weep. 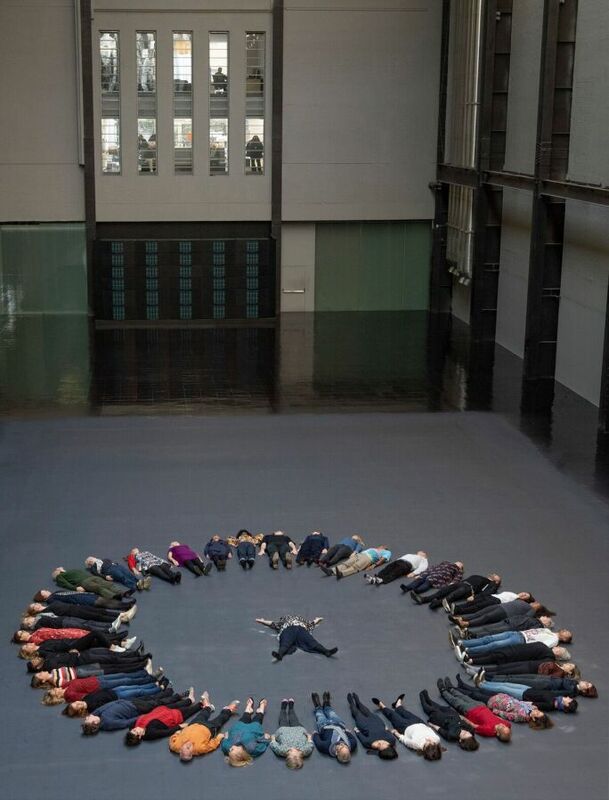 Contemporary artist and activist Tania Bruguera’s new installation in Tate Modern ’s Turbine Hall, the latest in the hugely popular series of Hyundai Commissions for the Tate’s vast public space, does just that. A s part of her installation, which opened to huge crowds for private previews last night, Tania Bruguera has augmented the air in the room with a ‘tearing agent’ which organically encourages the visitor to cry. Visitors’ tears are meant to be far more than a curiosity and a ploy at selfies (though the Turbine Hall installations do drive a significant amount of social media engagement as well); the participation of the viewer in the act of crying – or at least tearing up – is critical to Bruguera’s motive. Her latest commission concerns itself with the global migrant crisis as well as the insufficiency of political action and relative lack of public empathy that Bruguera has witnessed across the world in response. This message, though strongly asserted and profound, is delivered to the viewer through a subtle and shifting combination of messages – from the invisible tearing agent in the air, to the ever-changing title of the work itself. 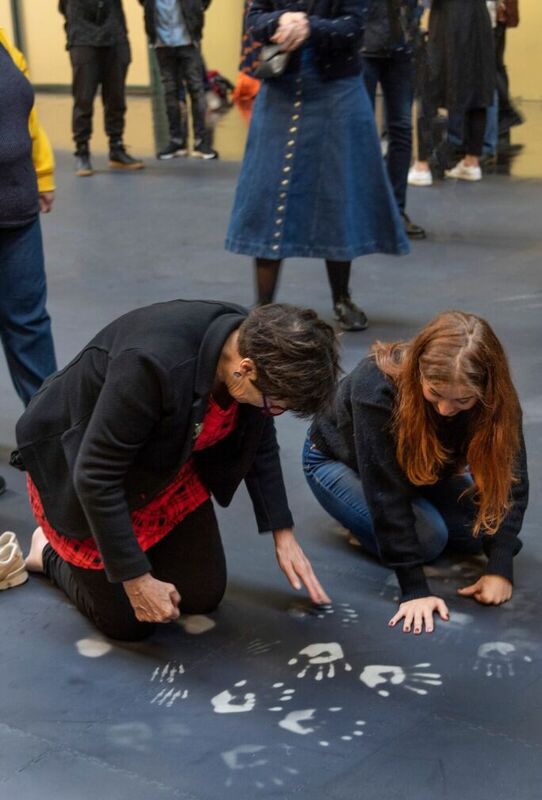 The title of this year's Turbine Hall Commission is, as stated by the Tate Modern, “the number of people who migrated from one country to another last year added to the number of migrant deaths recorded so far this year.” The ever-increasing number will be stamped on the hands of each visitor as one enters the museum. As with all other elements of the installation, the title stamp will make it all but inevitable that visitors to the Tate consider, address, and take home memories of the migrant crisis as well as the myriad personal losses and traumas it has led to. For Tania Bruguera, a Cuban artist whose works have always been directly and unapologetically political, the forced tears ultimately function as “forced empathy,” an attempt to compel the museum-going public to experience the tears that she believes they should have shed and, implicitly, to encourage the visitors to think, feel, and act on the crisis in a more active and participatory way than they previously have. Bruguera and assistants lying on the heat-sensitive floor. Photo © Andrew Dunkley. The physical elements of the installation are equally direct and overtly political, while also seeking to induce a specific and overwhelming sensory experience for its visitors. The largest element of the installation, within the Turbine Hall itself, consists of a shiny black material that covers most of the Hall’s floor. The material is heat-sensitive and generates white marks in response to body heat, so that the outline of a visitor’s body appears when she lies on it. The physical experience of the work’s sensory elements is further compounded by a unique sound installation that Bruguera included in the installation. Low-frequency sound, which was made in collaboration with Kode9 (sound artist Steve Goodman), rumbles through the vast space, suggesting a sort of foreboding and tragedy that the installation confronts directly and unflinchingly. 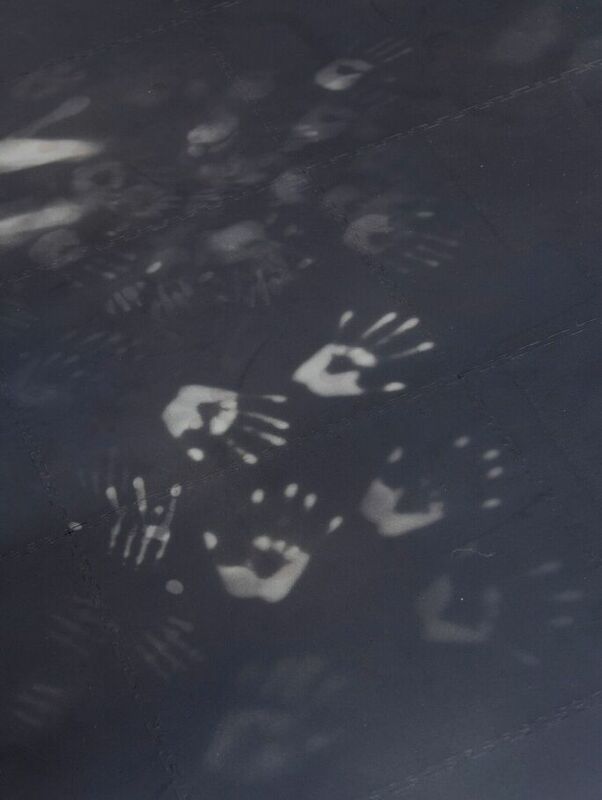 Handprints from visitors on the heat-sensitive floor. Photo © Andrew Dunkley. All of these personally experienced and intimate moments of the installation are drawn together to produce – quite literally – a large-scale work. As mentioned, the heat-sensitive flooring is responsive to individual visitors and can be engaged with privately to render temporary, individual marks of one’s body. However, once the flooring detects the heat of a sufficiently large number of people, the massive underfoot canvas reveals, at the far end of the Turbine Hall, the portrait of a refugee who fled Syria in 2011. The young man in the photo was chosen by Bruguera for a specific reason: he is being assisted by the charity SE1 United. Visitors interacting with the heat-sensitive floor. Photo © Andrew Dunkley. SE1 United ties together several elements of Bruguera’s multi-faceted installation. The charity – whose name derives from the London SE1 postcode, the area in which Tate Modern is located – is a youth charity that helps young people to recover from difficult starts to life and to overcome structural disadvantages within society. A local activist, Natalie Bell, has worked extensively with the charity as well as on numerous other social programs in the area of Tate Modern. 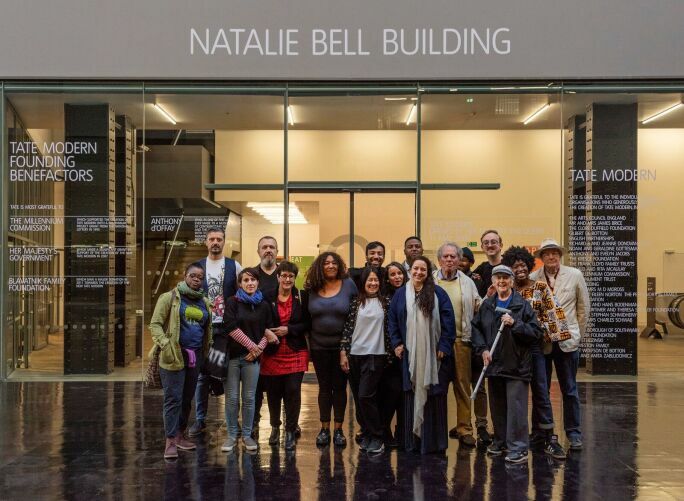 Bruguera, in conjunction with a group of 21 local SE1 residents, decided to rename the Tate Modern’s north building, otherwise called the Boiler House, as the ‘Natalie Bell Building’. The name has been adopted by the museum and will be in effect throughout 2019. Bruguera and the 21 Tate neighbors in front of the Boiler House that has been renamed the 'Natalie Bell Building'. Photo © Andrew Dunkley. Direct, forceful, radical and wholly uncompromising, Tania Bruguera’s Turbine Hall commission fills one of the largest and most visited museum spaces in the world with an installation that, while visually compelling and experiential, is above all an urgent, timely call for collective reflection, care and action on one of the world’s major crises.